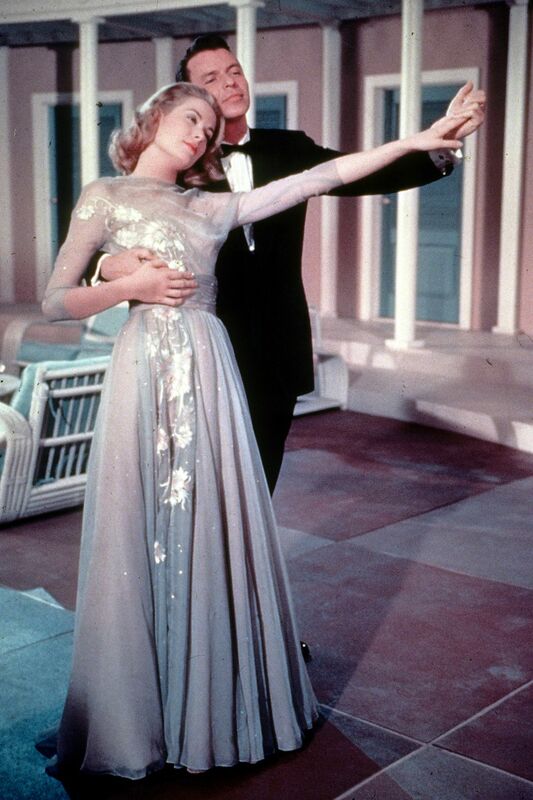 Happy birthday Grace Kelly! Beloved actress and the Princess of Monaco would have been 89 today. This is the fourth year this blogathon is happening and it is the first year I am participating in it. 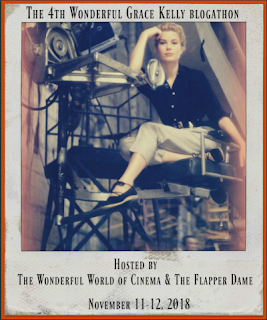 I am very excited to be part of this blogathon! I want to thank The Wonderful World of Cinema and The Flapper Dame for hosting it. This is a nice way to celebrate Grace's birthday and I hope to be part of the blogathon next year as well. Every April at the mall by my house there is an event called "Book Stock." It's basicaly a week long event where I blow my paycheck on used books to help out local schools in my area. Anyway, at this year's event I found a book I haven't read since childhood. It is a children's book about Grace that came out ten years after she passed away and Frank Sinatra supplied the foreword to this book. He had nothing but kind things to say about his friend and former co-star in this foreword. And if you are wondering, yes, I bought the book. I have decided to focus on their friendship and one co-starring role in this post. I know there are romantic rumors surrounding these two but I will not be jumping down that rabbit hole today. Grace Kelly and Frank Sinatra met on the set of Mogambo in the early 1950's. Frank, at the time was married to Ava Gardener, who was Grace's co-star in the film. Grace had a tent right next to the Sinatra's and was not happy about since she could hear them fighting all the time. Frank and Ava split for good in 1953, the year Mogambo came out, but didn't divorce until 1957, a year after High Society came out. High Society came out in 1956 and it stars Grace, Frank, Bing Crosby, and Celeste Holm. It is a musical remake of the 1940 film, The Philadelphia Story, which starred Katherine Hepburn, Cary Grant, and Jimmy Stewart. 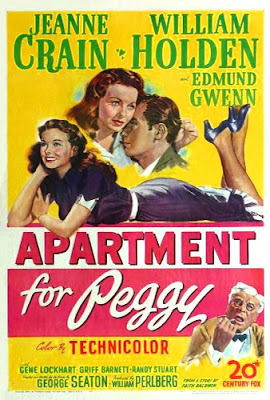 Grace would take over Hepburn's role and Frank would take over Stewart's. And I am going to say what we were all thinking. We were robbed. The chemistry between these two is amazing and it's just one of those movies you hope changes at the end, but it never does. I wish there had been a film where these two were the leads, but this was Grace's last movie before her marriage to Prince Rainier of Monaco. Grace and Frank would remain friends for the rest of her life. He would even become good friends with her husband. He happen to see her a couple of weeks before her death when he and his wife went to Monaco to spend some time with Grace and Rainier. Frank would pass away in 1998 and Grace predeceased him by sixteen years. We only have one film starring these two incredible talents, but it is one of my favorite films. "My memory of Princess Grace is that very real person who shared her fairy tale with the entire world. Her name reflects the lovely woman she was...Grace." The post was written for "The 4th Wonderful Grace Kelly Blogathon." If you want to see the other posts please go here and here. I’m so glad you’re participating to the blogathon this year! 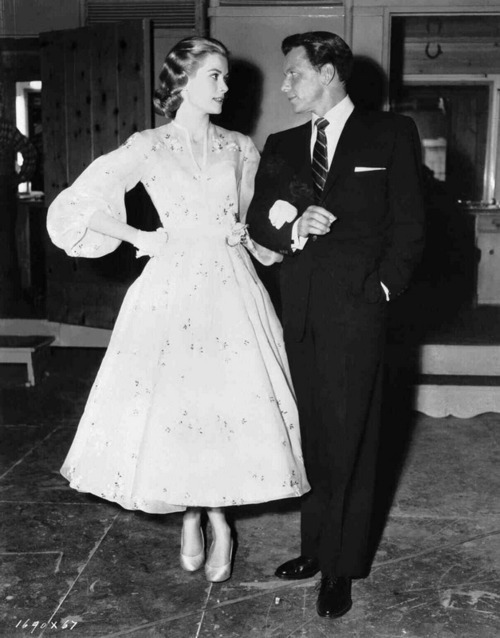 Such a lovely article on Grace and Frank Sinatra's friendship. I remember reading about it in the (not very good) biography of Grace Kelly written by Wendy Leigh but it was a long time ago. Thanks for refreshing my memory on some points! Thanks so much for your participation to our blogathon! Thank you so much for hosting and for letting participate.I have a few biographies about Grace, but I don't think I have that one. I will stay clear of it. I am so excited you've joined us this year!! I wish we could have seen More Frank-Grace movies in the future. You look at all the roles Grace was up for and say- man! Frank and Grace could have been those leads (Designing Woman anyone?) I think it was on youtube - I looked for it but couldnt find it maybe it was taken down- but grace was a speaker and presenter at one of Frank's farewell concerts. she talked of her memories of Mogambo- Frank bringing christmas cheer to the african wilderness! hope to see you around the Film blogging community! and hope to do a blogathon for you in the future! Grace seemed to have a talent for friendship with most of her co-stars. It's always beautiful reading about how well they remembered her. I am happy she was close with her co-stars and that they had such sweet things to say abut her throughout the years. Lovely piece. I didn't realise that Grace and Frank were friends, but I'm so glad that they were. I totally agree that they should have been in more films together. Their chemistry in High Society is off the charts. Thank you. Yeah, I didn't realize it either until not too long ago actually. And we were robbed! They were perfect in that movie together! Frank could've been better in High Society, but that wasn't his fault. At least it gave us the chance to see two people of such different backgrounds working together. I disagree. I think Frank was better than Bing was in the movie. And I did enjoy seeing them together in this film.